And for the billionth time, I told him NO. 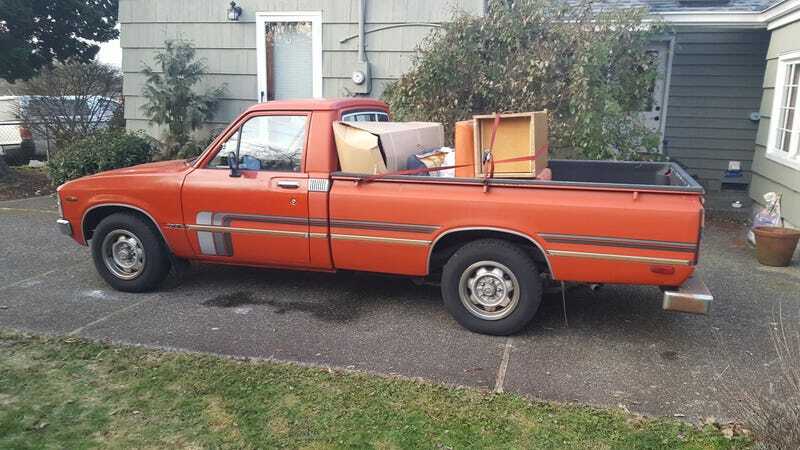 Not only will I never sell this thing, but have you seen what $2500 will get you these days for pickups? Answer: not even one-half of the gem this thing has been for me. Tomorrow entails several runs to the dump. In exhange for free labor from my friend (my old couch weighs a few hundred pounds), we are hauling his old couch away as well. The slow march to regain control of my garage continues. Spring cleaning is early this year.